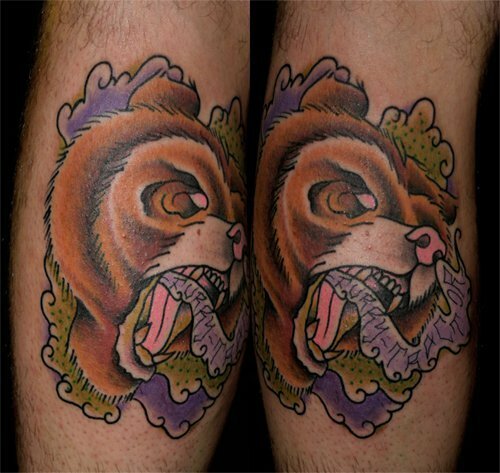 Tattoo Blog » Meet Nick Whybrow! 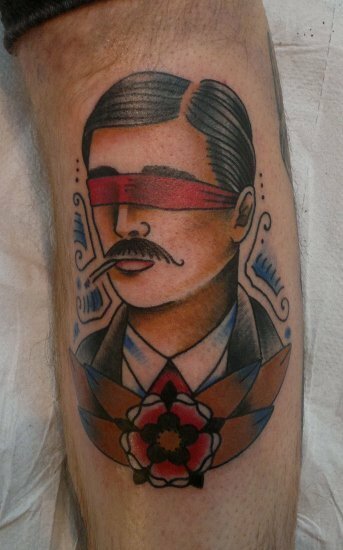 Tattoo Blog » Inspired » Meet Nick Whybrow! 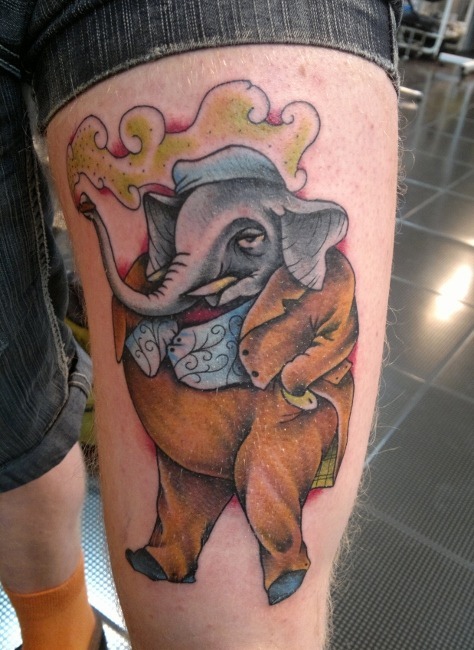 Tattooist Nick Whybrow is pretty upfront and straight forward about his work. In his own words: “I’m in London most of the time. I do tattoos on people.” And there you have it. That’s Nick Whybrow. Of course there’s far more to this talented tattooist that just a few simple lines of introduction. Whybrow tattoos (when he’s in London) at Self Sacrifice in Soho. His work takes on a sort of classic American style, with plenty of colour and a nice beefy heft to it. The imagery is that of bygone era, where player pianos rang out in whisky saloons and men with pencil thin moustaches checked the time on their pocket watches. At least that’s how it makes me feel and I certainly do like it. This summer, between the dates of June 28th-July 2nd, Whybrow will be taking up a guest spot at custom tattoo studio Nine, in Brighton, England. If you’re interested in getting tattooed by Nick in Brighton, then you should contact the folks at Nine and try and get an appointment. Otherwise you’ll have to catch up with him in London. Check out more of Whybrow’s work over here.